How can I add a sub assembly to a Bill of Materials/Assembly item? What happens when I run a work order for the main item, but don’t have the sub assembly? 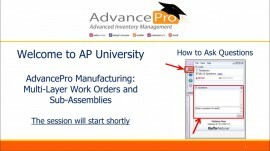 How do I complete a work order that contains sub-assemblies?